Adam is your local Caroline Springs Building Consultant. 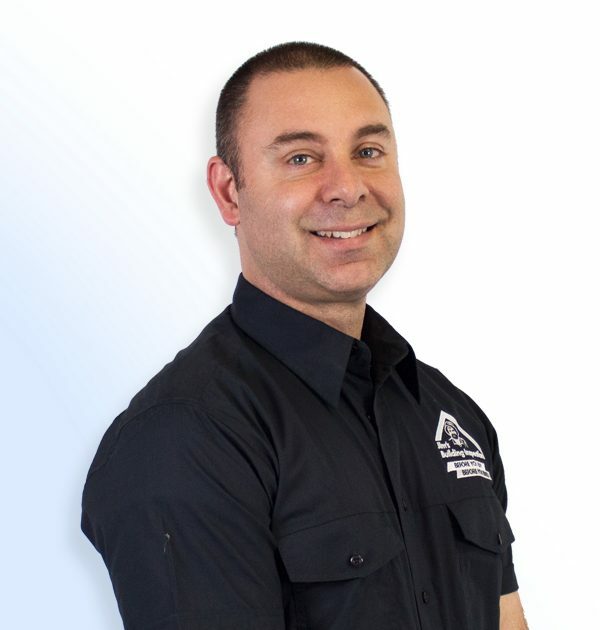 Adam has worked in the building industry since 1994 – he started his career as a painter and decorator and in 1999 realised his passion of building new homes and renovations, working for the family business, which later became a well regarded and respected construction company. He has overseen many construction jobs from conception to completion. Adam gained a passion of all parts of the building process and was always involved on the tools ensuring that homes were completed to a very high standard. His years of experience have given him the insight of the expectations of the customer in addition to the stringent guidelines of the Victorian Building Authority. Recently Adam has had a stint in the Real Estate industry – learning valuable lessons in liaising with customers. Adam heard about Jim’s Building Inspections and thought it was a great opportunity to harness his years of experience and passion and provide an excellent service for his customers. Adam is joining the JBI group to be able to work around his growing family and it is important to him that he watches his kids grow up. Adam is extremely hard working and dedicated individual who believes that customer service is the key to a positive result. His keen eye for detail will ensure that the inspection is completed with integrity. He is punctual and reliable which will delight his customers. Growing up in an Italian family, Adam has a great love of good food and absolutely loves coffee. He goes as far as making Salami with his family which some say is the best in town. Adam has been married for more than a decade and has two children. He loves to spend time with them in our beautiful state – bush walking, hiking and bike riding. He also enjoys playing soccer and footy and watching his beloved Geelong Cats.